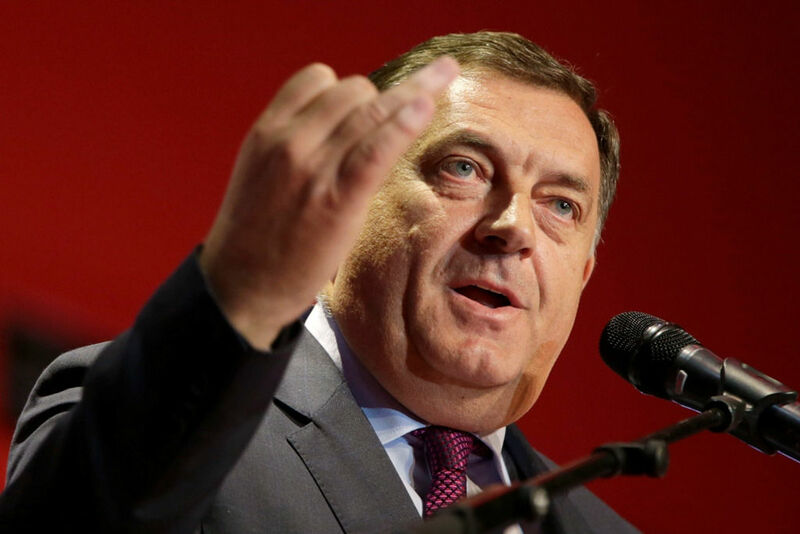 The US has introduced sanctions against Milorad Dodik, president of Republika Srpska, the Serb entity in Bosnia and Herzegovina. Dodik has shrugged this off as futile vindictiveness by the outgoing US administration. EURACTIV Serbia reports. The US State Department confirmed on Tuesday (17 January) that Washington had imposed sanctions on Dodik, while the US Department of the Treasury’s Office of Foreign Assets Control (OFAC) posted on its website that Dodik had been placed on the Specially Designated Nationals list (SDN list). US Ambassador to Bosnia and Herzegovina Maureen Cormack said on Tuesday that the sanctions had been imposed due to Dodik’s obstruction of the Dayton Peace Agreement, which ended the 1992-95 war in Bosnia. “Milorad Dodik has defied the Constitutional Court of Bosnia and Herzegovina, violated the rule of law and poses a significant risk of obstructing the implementation of the Dayton accords,” Cormack said in a video message on the US embassy Twitter account. She said that, as a result of the sanctions, every piece of property, or interest in Dodik’s property, owned or controlled by individuals from or within the US, must be frozen. All transactions by US citizens involving Dodik are also prohibited, she added. Washington’s representatives have not been in communication with Dodik for years. 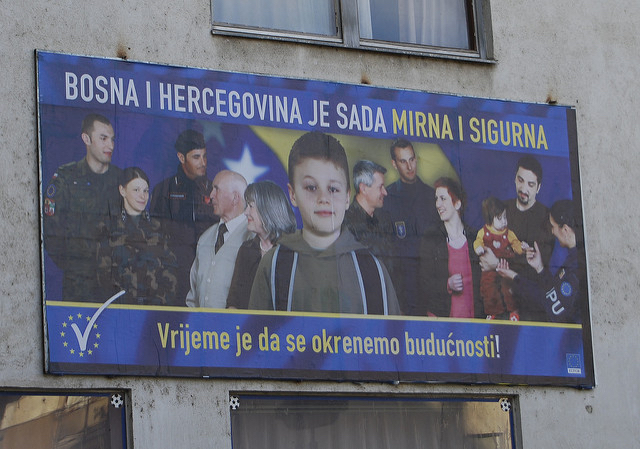 The situation escalated on 25 September last year when Republika Srpska (RS), flouting a ban from the Constitutional Court of Bosnia and Herzegovina, held a referendum on the continuation of the 9 January Republika Srpska Day celebrations. The majority of voters opted to continue celebrating Republika Srpska Day. The RS authorities headed by Dodik have lately intensified their nationalist rhetoric, openly bringing into question the existence of Bosnia and Herzegovina as a state. 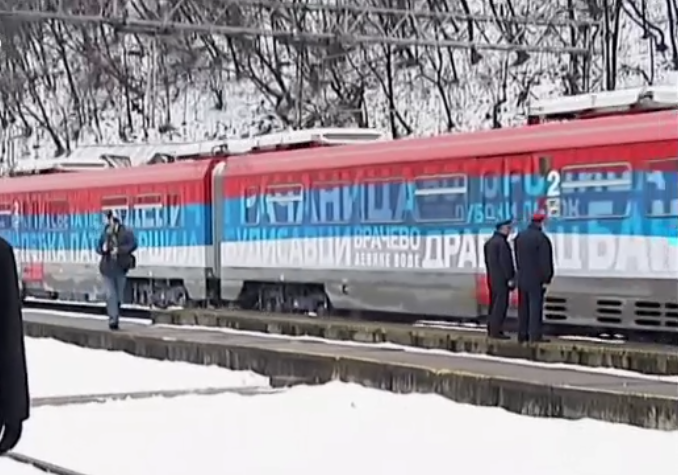 The campaign reached its peak last Monday (9 January) at a ceremony marking Republika Srpska Day, with massive insistence on the statehood and importance of the Serb entity. Commenting on the introduction of sanctions against him, Dodik said on Wednesday (18 January) that the sanctions were not from the US but rather the outgoing US administration. He added that he felt proud and that he did not see the sanctions as a punishment, because he had not wanted to trade the interests of Republika Srpska. “The decision is misplaced, because those who made it know that I have no property or accounts in the US or elsewhere abroad, except in Serbia,” said Dodik. He stressed that it was important that these were not sanctions against RS itself, adding that he had for a long time, as many as ten years, been the subject of sanctions by various actors belonging to the outgoing US administration. Dodik accused the ambassador Cormak of being responsible for the sanctions, claiming that Cormack was “an enemy of RS and Serbs”. “I believe that this is personal retaliation by Cormack, rather than a position of the US. She has been falsely informing Washington about the situation in Bosnia and Herzegovina, based on the information delivered to her by Muslims, many of whom work at the US embassy and have a lot of influence on the policies enacted by ambassadors,” he said. The RS president asked Bosnia and Herzegovina’s Minister of Foreign Affairs Igor Crnadak to declare Cormack a “persona non grata” in the country and to press criminal charges against her for “falsely informing the State Department and interfering with Bosnia and Herzegovina’s internal affairs”. Bosnia and Herzegovina’s Minister of Security Dragan Mektić said that in this situation it would be best if Dodik resigned. “I saw that the State Department had announced Dodik’s blacklisting in the US. I think that is devastating for RS, but for Bosnia and Herzegovina too. It is quite certain that other countries will replicate this blacklisting,” including EU member states, Mektić said late on Tuesday. He went on to say that “it is not binding for other countries to follow the US in this decision,” but past practice had shown that it did happen. “I cannot say with certainty which countries” would join the sanctions, he said, adding that he was nonetheless sure it would happen. Serbian Prime Minister Aleksandar Vučić told the Serbian Broadcasting Corporation on Tuesday that it was not realistic for the Serbian government to introduce sanctions against Dodik. “The government is the one that decides, but personally I simply do not know how to reply. 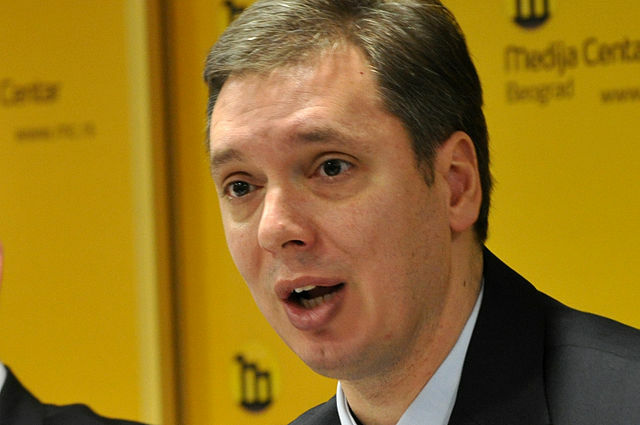 For us to say that Serbia has frozen the president of Republika Srpska’s assets and that we are not allowing him to visit Belgrade is not realistic and that will not happen,” Vučić told Serbian state TV in Davos.